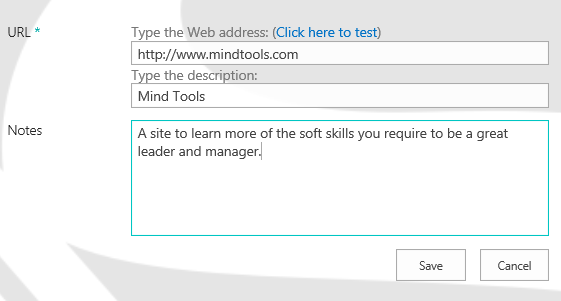 #Office365Challenge – Creating Links Lists In SharePoint. So after Promoted Links, these are one of my favourite, most underutilized apps. Links lists are similar to shortcuts, and these shortcuts or favourites can be to any sites, pages, documents you use – internally and externally. This is a great web part to add on your landing page, which supplies links to other resources / tools and calculators your team might use. In your settings page, go to List name, description and navigation and rename the app. Navigate back to your app by clicking on the name. Tip: Create a view called My Links, in this view add a filter where the “Created” is equal to [Me]. Now add this list as a web part to your landing page. This means that users can add their own links – and will only see their own links when navigating to the site – all on one list. How AWESOME is that?!? !